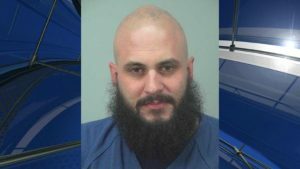 A former Republican Congressional candidate in Wisconsin was arrested Wednesday after authorities say he tried to purchase a legal dose of radioactive substance online with the intent of killing someone. Jeremy Ryan, 30, of Madison, tried to make the purchase in March and October with the intent of using it to kill an unnamed person, NBC15 reports, citing court documents. FBI agents searched his home Wednesday night. It wasn’t immediately clear whether they found any radio active material. The U.S. Attorney’s Office in the Western District of Wisconsin is expected to charge Ryan on Thursday with attempted possession of radioactive material with the intent to causer death. Ryan, who lost the Republican primary election in August, faces up to life in prison. Posted: 10/25/18 at 10:40 AM under News Story.